About: This exclusive North Valley home rests on more than a half acre of prime property near the Rio Grande Bosque. 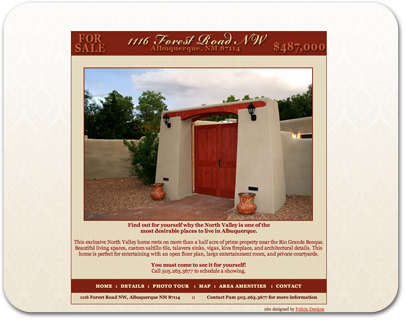 Job Responsibilities: Client wanted a website to help sell their custom New Mexican home. Includes slideshow of photos.